Public Display Exercise on the Draft Environmental Impact Assessment (EIA) Report on the Proposed Industrial Complex Project at JAMATA, Along Lokoja-Abuja Road, Lokoja Local Government Area, Kogi State by Unicane Industries Limited. 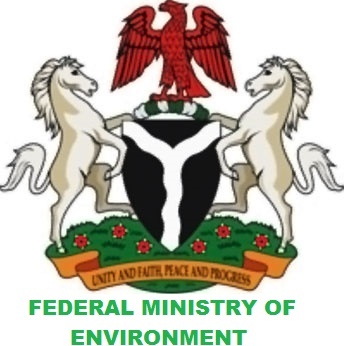 In accordance with the Environmental Impact Assessment (EIA) Act Cap E12 LFN 2004, which makes it mandatory for proponents of all new major development activities to carry out Environmental Impact Assessment (EIA) for their proposed projects, the Federal Ministry of Environment hereby announces Twenty-One (21) Working Days Public Notice for information and comments on the Draft EIA Report submitted by Unicane Industries Limited. (4) Federal Ministry of Environment House, Central Business District, Abuja, F.C.T. The proposed project will entail the constriction, installation and operations of an industrial complex comprising of a sugarcane processing plant with production capacities of 6500TPD of sugarcane and 650TPD of sugar, a vegetable oil processing plant with a production capacity of 100TPD, a cassava processing plant with production capacities of 550TPD of cassava tubers and 500TPD of cassava chips as well as an ethanol processing plant with a production capacity of 96TPD. The proposed project will be located on a land take of 15 Hectares. Date: 19th August, 2015 – 17th September, 2015. All Comments Received Should be Forwarded to the Honourable Minister, Federal Ministry of Environment on or before 24th September, 2015.